MC78L05ACP Voltage Regulator +5vdc 100mA with thermal overload and short circuit prot..
LM78L05 Voltage Regulator +5vdc 1 Amp with thermal overload and short circuit protect..
LM78L06 Voltage Regulator +6vdc 100mA with thermal overload and short circuit protect..
LM78L08 Voltage Regulator +8vdc 100mA with thermal overload and short circuit protect..
L78L09ABZ Voltage Regulator +9vdc 100mA with thermal overload and short circuit prote..
L78M05CDT +5 volt 500 mA Positive Regulator, package D-PAK TO-252-3 SMD. 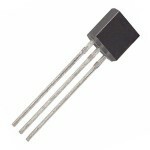 ..
L78M08CDT +8 volt 500 mA Positive Regulator, package D-PAK TO-252-3 SMD. 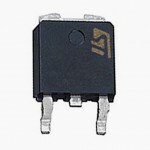 ..
L78M09CDT +9 volt 500 mA Positive Regulator, package D-PAK TO-252-3 SMD. ..